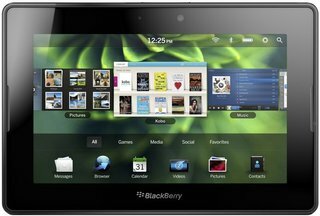 Research in Motion, RIM, is a Canadian-based wireless device company famous for the development of the BlackBerry smart phone line. RIM was founded by Mike Lazaridis and is based in Waterloo, Ontario. Before the development of the BlackBerry, RIM worked with RAM Mobile Date and Ericsson, assisting in converting the Ericsson-developed Mobitex wireless data network into a two-way paging and wireless email network. RIM has gone on to develop many different BlackBerry devices, which have become the smart phone of choice among business and government professionals. So loyal are BlackBerry users that the devices have come to be known as Crackberries, a back-door joke aimed at users who claim they cannot live without them. Major competitors include Apple Inc., HTC, Palm, Motorola, Samsung and others. BlackBerry's latest Android smartphone opts for a bigger screen instead of a physical keyboard, but brings the same focus on productivity and security. It’s very much a me-too device and doesn’t excel in any one particular area. Sure its design is a bit different and it has a few handy software features but none of these things is enough to justify the phone’s mind-numbingly middling performance and camera. While it may have a wallet-friendly price and a respectable battery life on its side, there's not much else to recommend the BlackBerry Motion. It's functional, but it isn't particularly impressive. The BlackBerry Motion is a strong follow-up to a phone I liked more than I expected to, and in general, it gets more right than wrong. Unless you're absolutely obsessed with security or want to pay to keep your beloved phone brand alive, the BlackBerry Motion is ultimately a good phone that doubles as a bad deal. This all-screen Android offers a flavour of the BlackBerry experience in a more modern, water-resistant package. It’s held back by dated hardware and a lacklustre camera, but impressive battery life means workaholics might just love it. With a focus on productivity and security, in a water/dust-resistant design that looks the business, combined with a battery that outlasts most others, the BlackBerry Motion is a sensible choice for BlackBerry fans who want to move away from physical keys. If you don’t care much about the bling and shiny stuff out there and you want a highly reliable, durable and functional budget smartphone with a battery that seemingly lasts forever in today’s battery standards, then the Blackberry Motion is the ultimate phone for you. At the end of the day, reviews are personal opinion, and in my opinion the BlackBerry Motion is a fantastic little handset with a great user experience. It's not perfect, but I've found it one of the most compelling smartphone experiences in a long while. You're stuck for choice if you want a keyboard phone, but the KEYone Black is an improvement on its predecessor that makes the lack of choice easier to bear. The BlackBerry Motion is a solid mid-range Android handset with some handy features aimed at business users -- at a time when handsets are explicitly targeting that market. Price and other specifications are also good. But drawback is lack of dual sim as well unsupportance of NFC and limited active frames. Give 2 weeks of true hands on experience with this phone. And you won't go back to iPhone. its a blackberry, not need to explain. Although mine only has an above average battery life, I found the HUB and swipe much more fluent than other phones I've had. The browser is very fast and it surprised me by the quality of the screen. All in all, I would defiantly recommend this phone to friends and colleagues alike. If you are looking for a communication device rather than a camera then do not overlook the Z30. The upgraded platform is app friendly and I love the Hub, where I can get all my messages in one convenient spot. Most of all, being a Canadian, I get to support a national company. Visit the BlackBerry Q&A Forum to get answers, ask a question or help others.